While you are boiling and peeling your tomatoes, dice up your onions and garlic and begin sautéing in olive oil in a big pot until translucent. 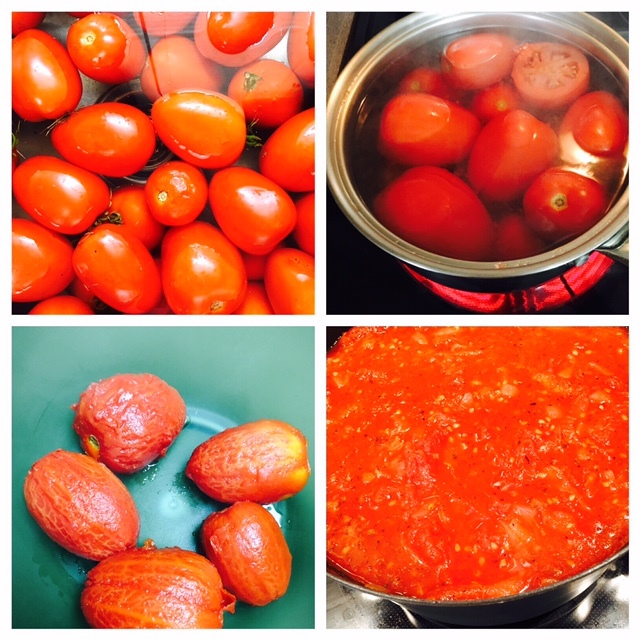 Let your yummy tomato sauce simmer for 3-4 hours (make sure you check on it a few times and stir it up) then use a handheld emulsion blender to blend up (if you'd like to--your choice on how chunky you'd like it! Let cool then bag up to freeze to enjoy throughout the year! So good!